Five Awesome Local Websites You Should Check Out! This article is 3180 days old. 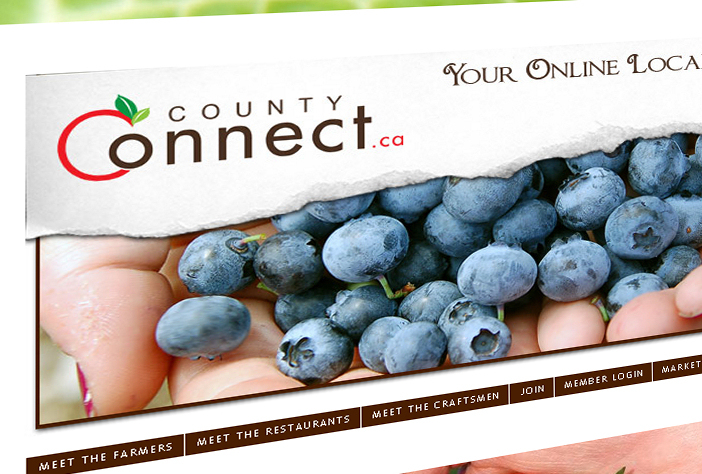 CountyConnect.ca – County Connect is an online farmers’ market for Windsor & Essex County. Connecting Restaurants, Craftsmen and Farmers, County Connect celebrates these creators and preparers of local food along with their online Marketplace. How does it work? You can purchase local Meat, Produce, Cheese and Personal Care products, delivered to your door twice weekly. Miss Canada Galaxy’s Blog – Holy moly! Did you know Miss Canada Galaxy 2010 hails from our local area? Natalie Lapoint, a Windsor native and title holder of 2007’s Miss Tecumseh Pageant, maintains a blog about her experiences with volunteering, community involvement and life as a crowned Miss. The Essex County Crier – The Crier is brand new newspaper for the citizens of Essex County. From Lakeshore to Pelee Island, Harrow to Kingsville, the Crier publishes twice monthly and features stories from all over the County. The paper is distributed throughout Essex County, can be subscribed to for home delivery and is available online. reVerb – Who knew religion could be this web-savvy? Father Chris Valka, the University of Windsor’s new Campus Minister is a blogging priest. Valka, who also preaches at Assumption Church, writes a blog and creates a weekly iTunes podcast. Citizfaction – This community group aims to empower citizens of Windsor with a Web 2.0 voice. Citizfaction’s Your Ideas for Windsor section lists thirty-two ‘ideas’ for our local community ranging from whether or not Urban Chickens should be permitted, to Community Policing, a change toward Weekly Recycling pickup to even a Last Call Bus! The site lets you vote on ideas, comment, or even post your own suggestions.